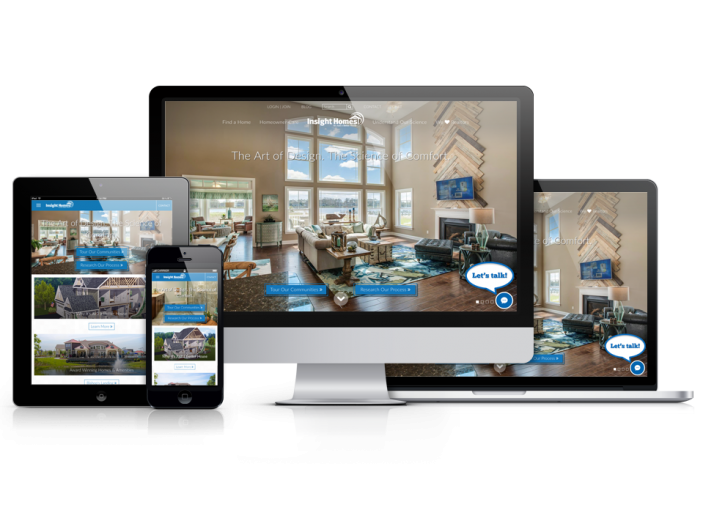 ONeil Interactive designs and builds search engine optimized homebuilder websites on our exclusive platform - Homefiniti. 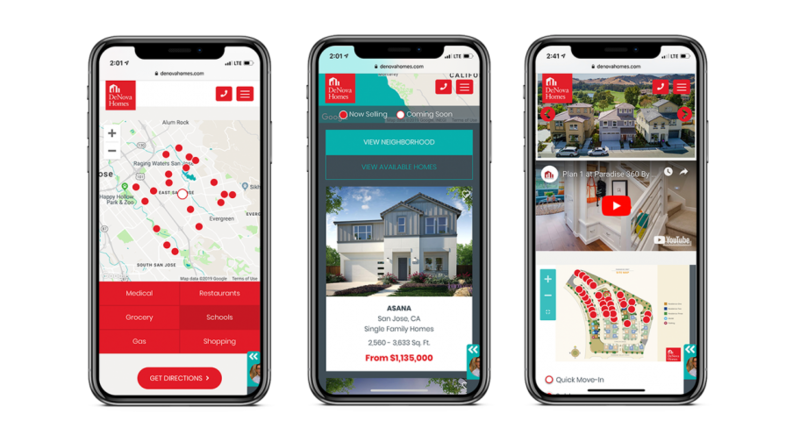 Homefiniti supports single or multi-market homebuilders selling from one hundred to thousands of homes each year. Not only do we understand the business of selling homes, but we’re experts in presenting this business online. 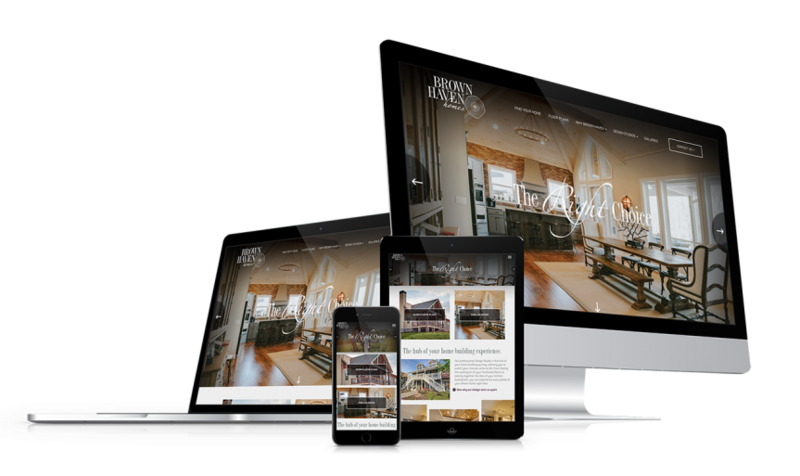 A homebuilder website should not function solely as a brochure of homes and communities. It should provide prospective buyers with the opportunity to reach out and start the sales process. ONeil Interactive works directly with you and your sales staff to identify your target market and anticipate how they will interact with your website. We design and implement fully custom website solutions that produce results. 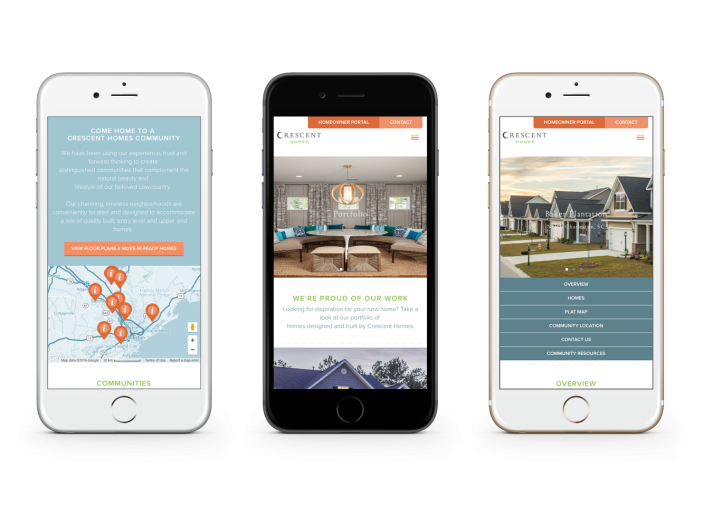 Because we provide a full suite of marketing services to drive and monitor web traffic, designing a new website for a home builder is usually just the beginning of our client relationship. Our relentless follow-through marketing services means we know what delivers leads. We’ve been building, rebuilding, tweaking, and improving websites for over a decade; finely tuning them in lead generation machines. Ensure your web visitors have the full experience of your website no matter what device they’re using. 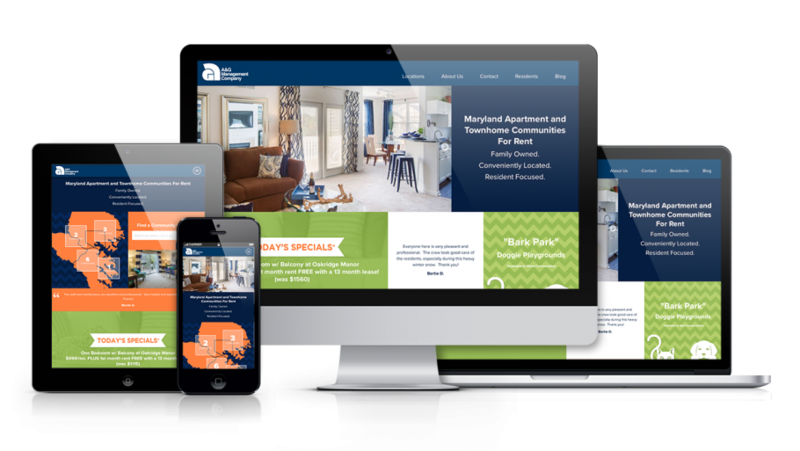 ONeil Interactive uses the cutting edge principle of responsive web design to format all your website content to look beautiful on a desktop computer, mobile phone, or tablet. No need for a separate mobile site or app. 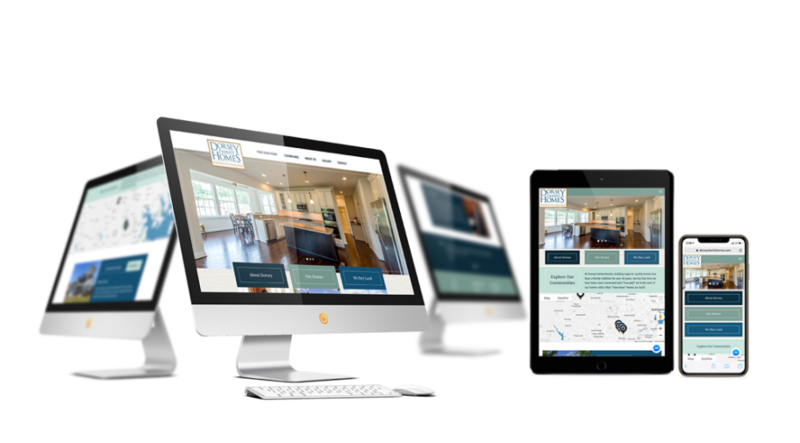 Responsive design covers all your bases, or should we say screen sizes. Your business is always changing. So shouldn’t your website keep up? We think so. That’s why we build all of our website with a user-friendly, content management system and give you complete access to instantly update everything from price changes to photo galleries with no cost or wait time. 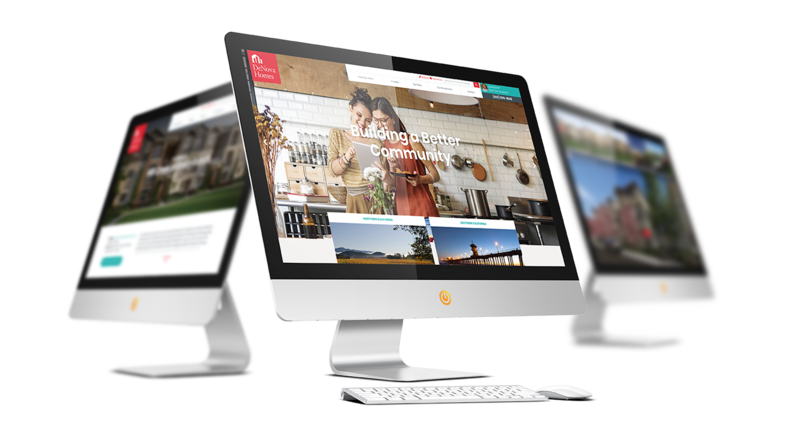 We don’t just design website for home builders. We market them, too. After building sites, we are almost always involved with initiatives to drive traffic and convert that traffic to leads. We spends hundreds of hours each year pouring over website performance data, adding new features, and tweaking every detail to improve lead volume. This means we know what converts leads and what doesn’t. We know better than anyone else. The number of devices capable of accessing the Internet is astounding; each of them seeing the web just a little different. Consider all of the different browser options on these devices, and it’s easy to be concerned about the experience your visitors may have. ONeil Interactive designs and build website using universal methodology to ensure the highest levels of compatibility with existing and yet-to-be-released devices. 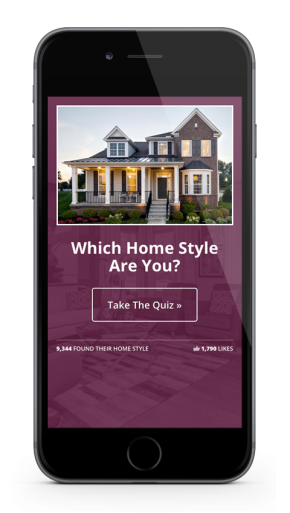 Whether your buyer is using an Android phone, a first generation iPad, a Kindle Fire, or a Windows 8 laptop, and their browser of choice is Chrome, Safari, or Internet Explorer, your site will look it best. We believe that there’s more than a bit of art in impactful marketing, but with all the data available about web performance, validating any theory with data is a must. 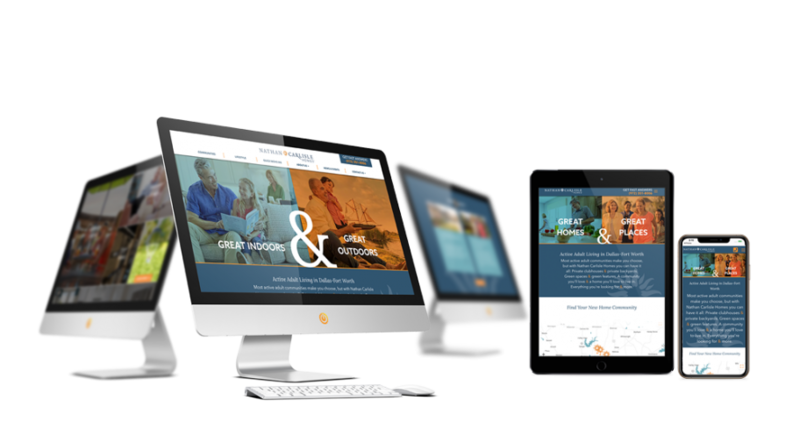 ONeil Interactive makes analytics a part of every apartment community website, senior living website, and home builder website we build. Details on your visitor behavior helps you identify your most popular content, where people might be getting lost, and which marketing dollar is brining you the most leads. We want you to know this information to make smart marketing decisions. For our many clients for whom we’re able to provide Internet marketing, website analytics is something we review no less that monthly to examine recent performance and guide future efforts. After ensuring that the content on your website is as accurate as possible, getting this information everywhere else it needs to go is job number two. It’s no fun and a waste of your time having to maintain data in multiple dashboard. That’s also a recipe to incosistency and mistakes. We build websites that can generate and share data feeds that turn your website’s content management system into a power distribution system; saving you loads of time and increasing accuracy. 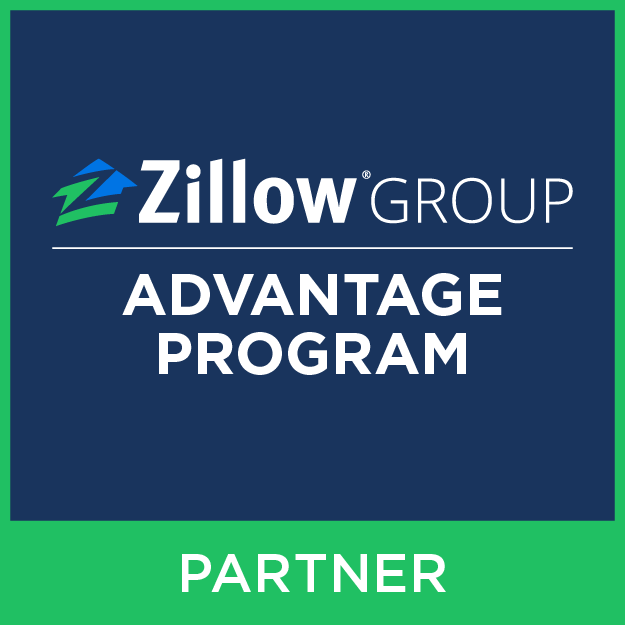 It’s not just our home builder and apartment community marketing clients that benefit from this. Any type of data can be shared with any third-party with the capacity to accept it. 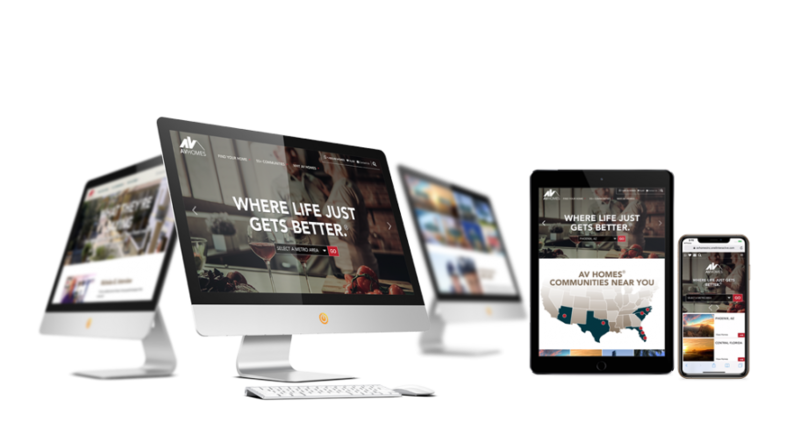 ONeil Interactive provided exactly what we needed for our new corporate website. It’s interactive and mobile-friendly, which was very important considering our B2B audience. They worked with us until we got it ‘just right’ to launch. And now we have the platform to update content, manage leads and add video ourselves in house. We’re so happy with their work and level of professionalism that we’re now working with ONeil Interactive for our next web project.